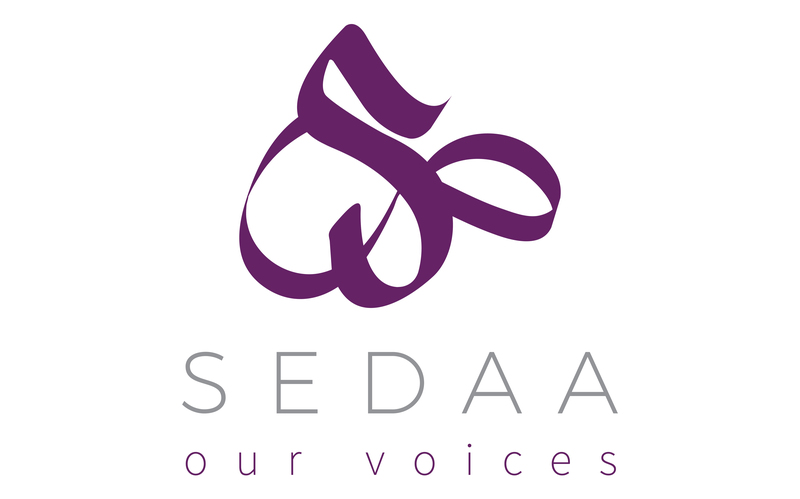 Following the report in The Times, we, the undersigned, request a meeting with Amanda Spielman, HM Chief Inspector of Education, to discuss the unacceptable rise of the classroom hijab in state-funded primary schools. Female Muslim children as young as five are increasingly veiled and schools are sanctioning this by including it as part of school uniform policies. This is an affront to the historical fight for gender equality in our secular democracy and is creating a two-tiered form of non-equality for young Muslim girls. At a time of rising religious extremism (from all faiths) around the world, this is not a time for the state to diminish our collective rights but to robustly defend hard-won freedoms and progressive values. To add insult to injury, Islam does not require children to cover their heads so why are our schools allowing this in the name of ‘religious tolerance’? Islam is not monolithic. These beliefs are subject to interpretation and highly politicised. These issues have to be understood in a global Islamic context. The covering of women is a key battleground and part of a push for systematic regressive practices of gender inequality. As women, we would legally have to cover in Iran, Saudi Arabia and the Aceh Province, Indonesia. We would be pressured to cover in most Muslim countries just because we are female. Women’s rights are the first to fall when religious extremists gain power. The image of brave Yazidi women burning their burqa should be a warning to us all. This is about power, control, status and regressive honour codes. Veiling is highly controversial because it is about modesty, curbing sexuality and sexual curiosity. But these gender codes are not set in stone. Countries such as India and Tunisia are fighting back against male dominated orthodoxies and protecting women’s rights against cultural and ultra-conservative religious practices. Our country has an abysmal record on protecting young Muslim girls who suffer under the pretext of protecting religious freedoms rather then gender equality. We duck from challenging so-called sensitive issues like female genital mutilation, child sexual exploitation and forced marriages. We are creating conditions that would be seen as abhorrent if transferred to other equality areas. 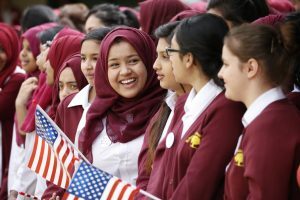 By turning a blind eye when our schools are being politicised, Government contradicts itself when advocating for more inclusion and cohesion. Fragmenting the education system is one thing. Turning our backs on equal rights for Muslim females is unacceptable. Muslim women lead this campaign and we welcome support from fellow citizens who want to protect our secular progressive democracy. We urge you to write to the Minister of Education, Justine Greening MP and demand action. Our state-funded schools should be a place where children can be free to learn, dream, create and question without limiting their choices. Give women the choice; give children the freedom. This is Britain. We are to a large extent ‘free’ people. Therefore they should be allowed to wear what they want. I am sick of government intervention in ever aspect of everyone’s lives! So we make the rules to promote so-called Freedom of Right and then when we come up against an issue we don’t know what to do. Typical Britain, where we do not seem to think about many things before we act in the first place. This is just the beginning. As they say when you go to Rome do what the Romans do! But we are not and will never be the Romans either. What gives OFSTED the right, or indeed any Brits, to preach to minority groups about how they should live their lives. This is a cosmopolitan country, the Muslim community have the right to educate their children how they choose. What has being British got to do with your religious belief? In Britain there are Hindus Sikhs pagans Jewish Buddhists atheist Zoroastrians Rasta’s and many more should they all change there religious beliefs because they are British? Studying the Qur’an will certainly help towards these children becoming fully integrated citizens of the UK. How can a headband and long skirt be described as ‘too religious’? Ridiculous. I see nothing wrong with wearing a headscarf, and find the French outlawing of them unfair and unnecessary. But there are other religions and sects that insist on a certain dress code for their followers, most orders of Christian nuns for example, are also covered from head to toe. Girl dressing modestly is seen as a religious symbol, yet girls in short skirts hitched up revealing their knickers is perfectly acceptable and not an insult to Christianity and therefore also a religious issue? It’s funny how democracy is linked to freedom when it seems to be taking people’s freedom away, the freedom to choose.You shouldn’t be able to order a woman to go around wrapped up from head to toe, but you shouldn’t be able to order her to go around half naked either. What is wrong with a girl wearing a long skirt. Now, after the Muslims women are involving more and more in the society, those people are trying to get them back to the ghettos by banning them from wearing the Hijab…And the other one who were saying that: Men are imposing the Hijab to those women and are covering that by saying: it’s her choice. This argument is simply ridicules, it seems that she doesn’t want to hear that someone wear it because of their spiritual journey, she definitely wants them to oppressed. And the French guy who were saying: We are banning it because of the dignity of the woman and gender equality ==> Since when the equality is used to restrict the liberty of free choices. Those people need to be reminded that this law is totally opposed to the universal human rights.